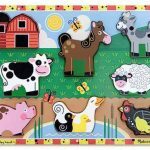 View cart “Kaper Kidz Wooden PIRATE TAP A SHAPE Set w/ Cork Board and Nails” has been added to your cart. 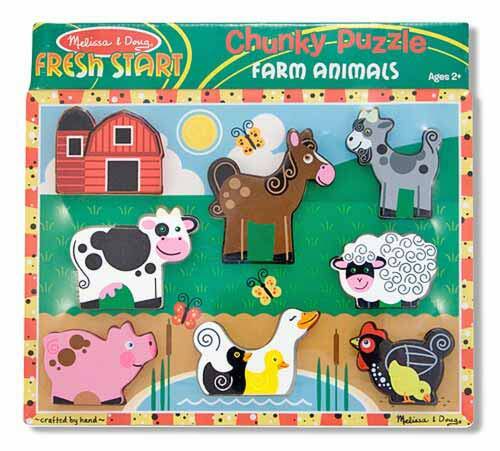 Have fun on the farm with this extra-thick Melissa & Doug wooden Chunky Farm puzzle. 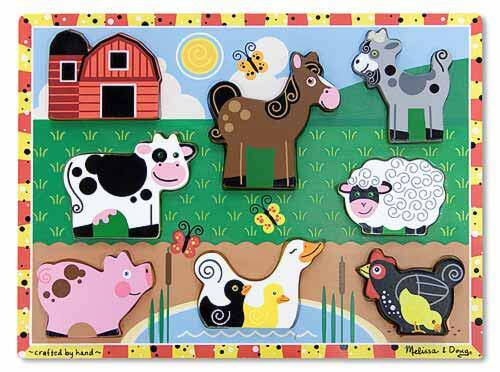 It includes seven easy-grasp, chunky farm animals and one barn. Each piece has a full-color, matching picture underneath. 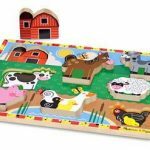 The barn and animal pieces stand upright for pretend play. Encourages hand-eye, fine motor and creative expression skills.